Robert J. "Robb" Emerson III, 54, of Frankfort, died unexpectedly at his home on Sunday, March 24, 2019. 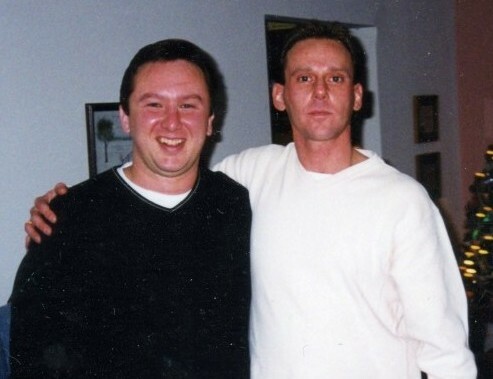 He was born on September 6, 1964 in Akron, the son of Robert J. and Lindalu Swartzman Emerson Jr..
Robb is survived by his father, Robert J. Emerson Jr. of North Canton OH, his lifepartner of 21 years, Kevin L. Posey of Frankfort, two sisters, Susan H. Emerson of North Canton, Karen Emerson (Patricia Wetmore) of Windham ME, aunt, Jean Natalizo of Shreve OH, several cousins, and pets, Ava, Trever, Jefé, Herby, Dot. He was preceded in death by his mother, Lindalu Emerson, brother Troy Allen Emerson, and pets, Murphy, Lil’ Kim, Chloe, Boo Boo, and Baby. Robb was a 1982 graduate of Cuyahoga Falls High School and worked at the O.P. Gallo Men's Store in Columbus. He was proud to be able to stay at home and care for his animals and his home. Robb's family wishes to give a special thank you to Dr. Ellis Frazier. In keeping with Robb's wishes, cremation has taken place and no service will be held. Memorial contributions are suggested to the Humane Society of Seneca County, 2811 S. State Route 100, Tiffin OH 44883, OR the Humane Society of Summit County, 7996 Darrow Rd, Suite 30, Twinsburg OH 44087. The EBRIGHT FUNERAL HOME, Frankfort, is serving the family.